What is the Difference Between Midwives and Doulas? One of the most impactful decisions you will make during pregnancy is selecting the people who will attend your birth. If you looking for more personalized care during pregnancy and birth you may have already done some research about the benefits of doulas and midwives. 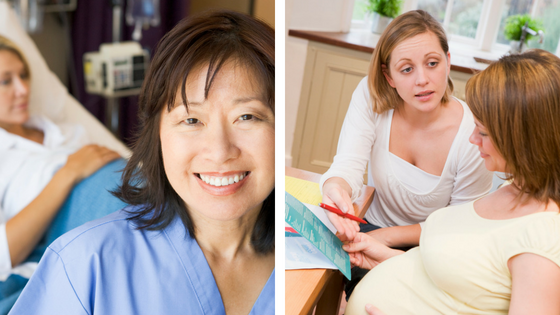 While both midwives and doulas help care for women and families during pregnancy, birth, and the postpartum recovery period, many people are often confused about the differences between these roles, or aren’t sure if they need both a midwife and a doula. Here is some more information to clarify the scope-of-practice for midwives and doulas and exactly how they help families have a healthy and memorable birth. A Midwife is a medical provider who offers a full range of gynecologic and obstetric care for women of reproductive age and beyond. Though midwives are most commonly associated with providing prenatal care and ‘catching babies’, they also provide health services to young women, post-menopausal adults, and to newborns. There are several paths to midwifery, but for simplicity purposes, there are two main branches of this profession: Certified Nurse-Midwives (CNMs) and Direct-Entry Midwives (DEMs). 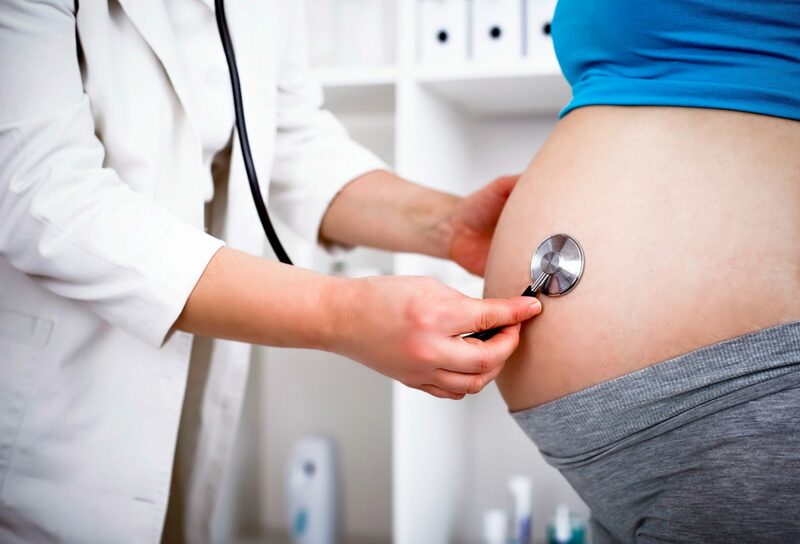 CNMs can provide many of the healthcare services traditionally performed by a physician, and often are best suited to support ‘low-risk’, healthy women during pregnancy and birth. Nurse-midwives are advanced practice providers and have educational training first as a registered nurse and they also have a graduate degree via an accredited midwifery care program. CNMs are licensed to practice in all fifty States. Direct-entry midwives usually practice outside of institutions, either in birth centers or at home, and many have formal non-nurse midwifery schooling and an in-depth apprenticeship training. DEMs offer many of the same services as a nurse-midwife, but their accessibility and ability to practice vary greatly depending upon individual State regulations. Many people choose midwifery care because this model supports a more humanist or even holistic approach to pregnancy and birth and results in more satisfying, safer, and healthier outcomes for mother and baby. *Dependent upon State regulations and licensure agreements, most direct-entry midwives do not have prescriptive authority. Doulas are trained professionals who provide continuous educational, physical, and emotional support to families during pregnancy, birth, and the postpartum recovery period. Doulas really serve as a pregnancy, birth, and early parenting coach and help families understand the choices and resources that are available to them during the perinatal period. Unlike midwives, doulas do not provide healthcare or give medical treatment, but they serve more as a birth companion offering personalized guidance to families. Evidence overwhelmingly supports the use of a doula during labor and birth. With continuous doula support both women and babies experience safer and healthier birth outcomes. Midwives and doulas are able to support families in different roles, but are united in helping women and families have a healthy, safe, and satisfying pregnancy and birth experience. Did you have a midwife and/or doula at you birth? How did they help your family? Nurtured Foundation offers doula services to the Cleveland and Akron areas. Click here for more information on our birth doula services.